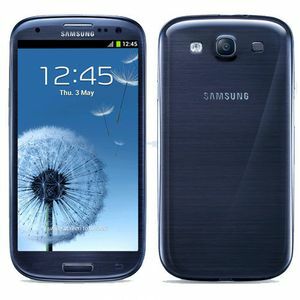 The Galaxy S III is the successor to Samsung's best-selling Galaxy S II. It has a bigger, 4.8" 720p display. It also is the first device to have a quad-core Exynos 4412 processor, with each core clocked at a maximum 1.4 GHz. It packs NFC, wireless charging capability, and the latest wireless radios. It ships with Samsung's Nature UX interface, which is the latest version of TouchWiz to date. It's available in 16, 32, and 64GB configurations. It's also available in pebble blue or marble white.